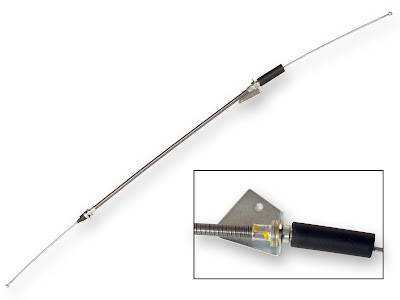 The original Ford 65-66 Front Parking Brake Cables were made obsolete several years ago. Up to this point, only a plastic covered replacement was available. That has changed, because we now have this exact reproduction that features the metal covering, the bracket and the rubber firewall sleeve. These cables for the 65-66 models just arrived, and we should have the 67-68 Front Parking Brake Cable soon. 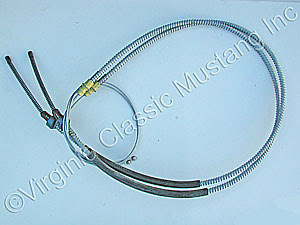 Don't forget that we also have the exact reproduction cable available for the rear on a 1966 model.